For years, AnyRooter team are committed in developing and producing the best rooting solutions for all Android devices, we guarantee that you will never run the risk of bricking your device. 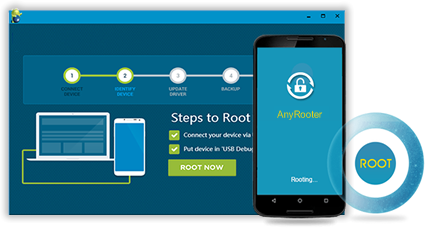 When you need to root your Android device, you should take a look at AnyRooter Android Root Pro, which is a new rooting tool ensuing your expensive Android devices gets rooted safely and correctly. Unlock all hidden features on your Android device. easily and safely uninstall bloatware. Speed up your Android hone 2- 3 times faster. remove and stop the Ads on your Android phone. Let all Android data recovery applications identify your Android phone.